Welcome, cats and kittens, to yet another installment of the coolest cats this side of a serial killer’s refrigerator Cewsh Reviews! We have a special treat for you tonight, as we all don our tuxedos and evening dresses for the fanciest and most prestigious night of the wrestling year. Come be thrilled as our monocles pop out in amazement, come be dazzled as our silken fans flutter to calm our enraged emotions, and come be confused as you try to figure out how you feel about Vice in an evening gown. However you come join us, and for whatever reason, we have our most jam packed, star studded gala event of the season ready and waiting for you to partake of. Will John Cena embrace the hate and finally get redemption for his greatest failure? Will Triple H’s career survive the horrific machination of a deranged monster? Will CM Punk be the man who forever tarnishes the greatest statistic in wrestling history? Is anyone else even on this show? There’s only one way to find out. Welcome, cats and kittens, to yet another installment of the always delightfully insane Cewsh Reviews! 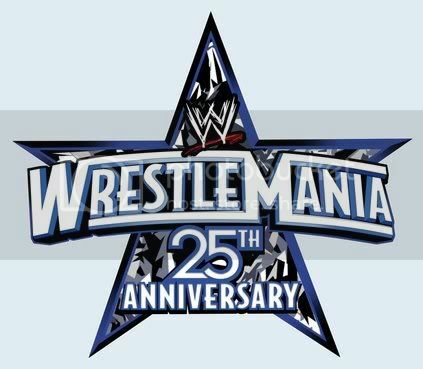 We have a special treat for you tonight as we finally come to the conclusion of the wrestling year with the single biggest event in professional wrestling, WWE Wrestlemania 28. This year WWE seem to have outdone themselves with stars aplenty and feuds galore. We’ll see two of the biggest names in wrestling history do battle to decide which is the bigger star, two legends duke it out to end an era, and two smark love affairs collide. There will also be a Kane match. This, along with all the pomp and circumstance implied therein, can be yours for the low low price of simply continuing to read after this paragraph is over. Welcome, cats and kittens, to yet another installment of the Showcase of the Incorrigibles, Cewsh Reviews! Tonight we don’t just have A special treat for you, we have THE goddamn special treat, as we are here to review and bask in the glow of WWE Wrestlemania XXVI. Well we’re finally here, at the culmination of both the wrestling year, and our reviewing year. It’s been a long road, with ups and downs, things that were Ian Rotten, and things that were Beautiful People, and here we stand, in year two of Cewsh Reviews, and going strong, ready to celebrate and culminate the wrestling world as a whole on this biggest of nights.